Big Fish Little Fish bring the rave to the gorgeous Spiegeltent bang in the middle of Canary Wharf for the third year running! The last two years sold out fast – do book your tickets now if you’re planning to come. Join DJ Joe Muggs and the BFLF crew on a beautiful circular dancefloor filled with balloons, bubbles, glitter cannons and the BFLF parachute dance finale. 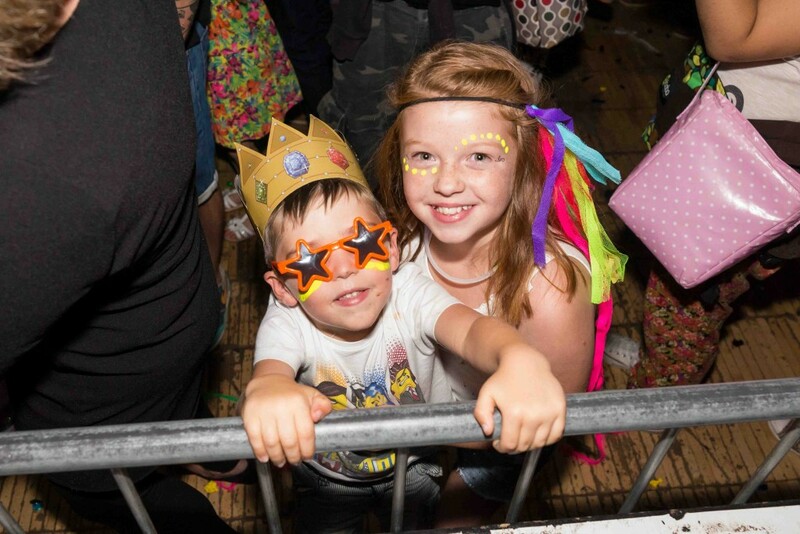 Kids can take part in craft activities in the booths around the dancefloor and colour in a giant mural designed by Captain Cookie. Please note there is no baby chill out area in the Spiegeltent. Buggy parking and baby change facilites are provided. Ticket price – under 2s go free, adults and over 2s both £8.